Europa Casino has a lot to offer in terms of bonuses, language options, bonuses and promotions, which makes this casino all the more appealing to new and existing players. Europa Casino is owned by Imperial E-Club Limited and licensed in Antigua and Barbuda. The casino was established back in 2004, which means that it has about a decade of experience when it comes to catering to online casino players. 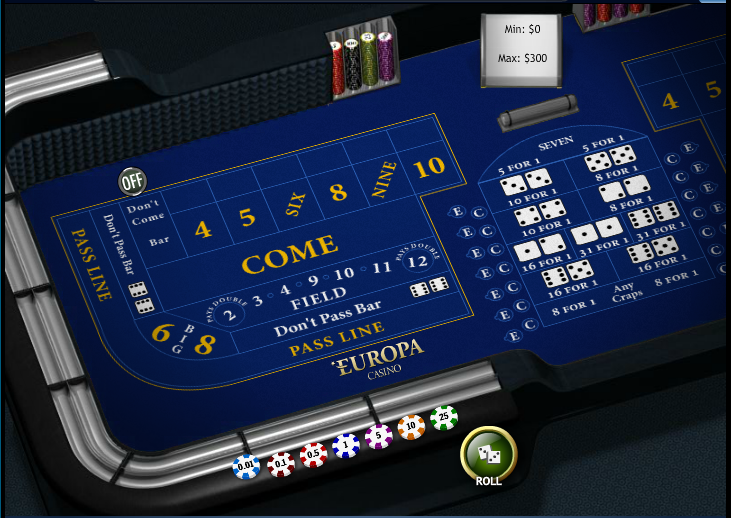 Europa Casino is run off Playtech software, which is a very well known brand within this industry. 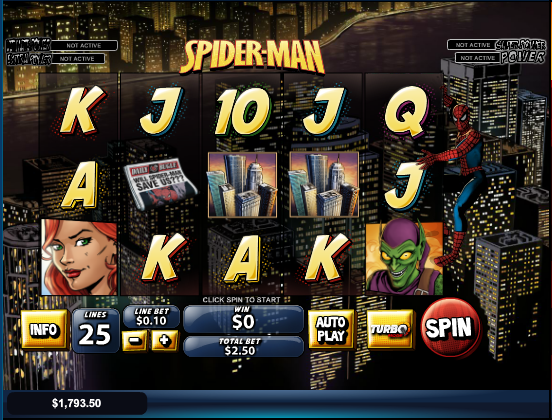 This software has allowed the casino the chance to offer its players more than 100 games which are available as flash or downloadable games. Playtech is TST certified, which means that players can rest assured they are playing in a casino that is fair and random. The games that are available through Europa Casino are numerous and they include; video poker, slots, arcade games, Asian games, blackjack, roulette and a wide range of progressive slots. 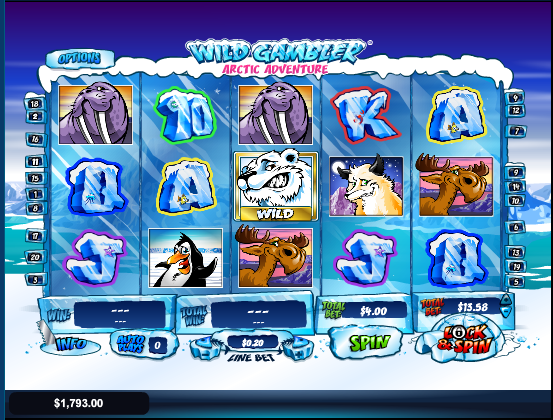 This variety makes Europa Casino appealing to a wide range of players. Europa Casino has a live casino to offer that allows players the chance to interact with live dealers while playing baccarat, roulette or blackjack. 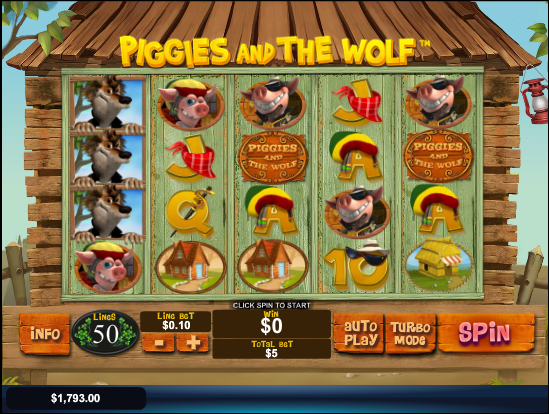 When playing in the live section of this site, players have the opportunity to take advantage of the $400 welcome bonus package that is staggered over 6 months of play. When a player takes advantage of an alternative payment method, they also stand a chance of being rewarded with 10 to 15% of their deposit, which makes is something that is convincing many players to try. 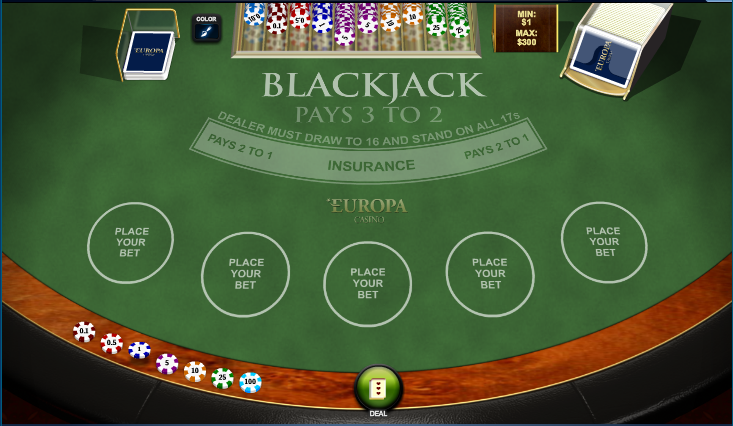 Europa Casino offers a mobile version of their site to individuals with Android and Apple technology. 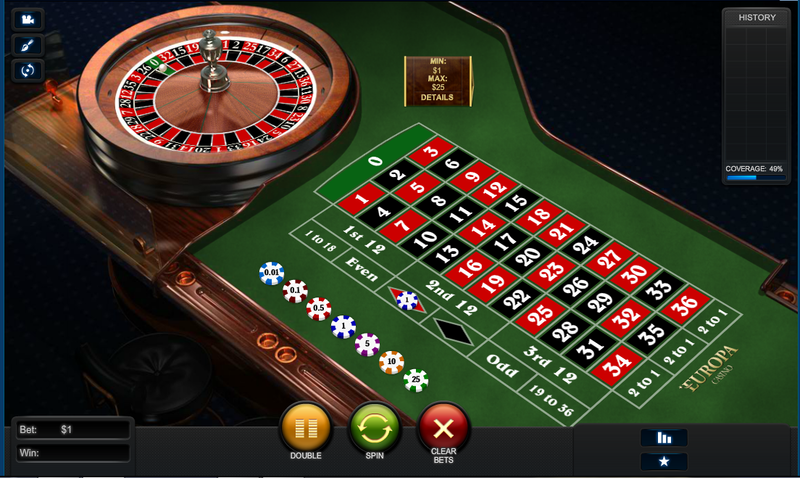 The live roulette app is optimized for tablets and smartphones. Once players have entered the mobile site, they simply need to make use of their current login details to start playing in this section of the site. Players who sign up for an account with Europa Casino< will get the chance to benefit from a wide variety of promotions and bonuses. Perhaps one of the most exciting is the $2,400 free bonus that is staggered over the course of a year. 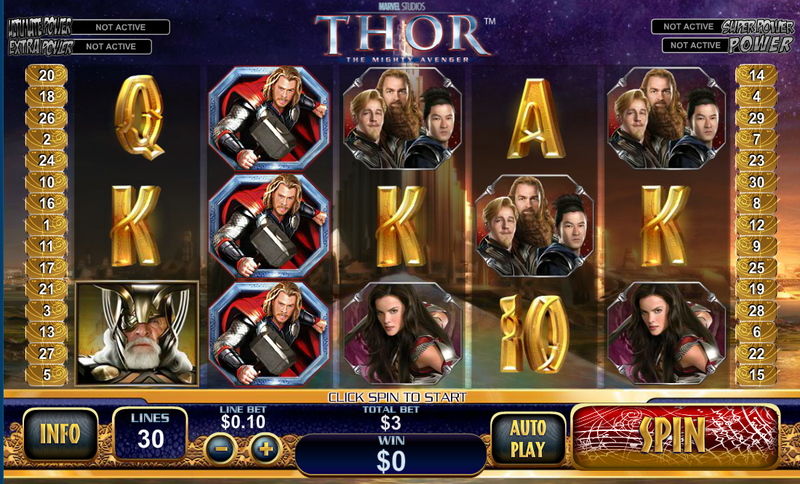 There is also a 100% match bonus of up to $100 that players can take advantage of each and every month. To make things even more interesting, Europa Casino is giving players the chance to benefit from a $25 Loyalty Bonus that is available each and every week, and high rollers can look forward to even more. In order to withdraw a bonus from Europa Casino, players will need to make sure that they are aware of the wagering requirements associated with each and every one. While the casino bonus wagering requirements will differ depending on the specific type of bonus a player takes advantage of, most will require that players wager their bonus and deposit about 20 times before withdrawing it from their account. Security is a priority with Europa Casino, which means that they have put a few measures in place to keep the sensitive information belonging to their players as safe as possible. Not only have they installed state-of-the-art firewall technology, but they have also put encryption technology in place to keep banking information safe and secure. When banking with Europa Casino, players will be able to pick from the following deposit methods; Euteller, Abaqoos, Transferencia Bancaria Local, GiroPay, Citadel Commerce, Click2Pay, iDeal, Bancontact/Mister Cash, Paysafe Card, Click2Pay, Santander, Moneta.ru, online bank transfer, wire transfer, DinerMail, Boleto, Diners Club International, EcoPayz, Nordea, Skrill, Teleingreso, UseMyBank, uKash, Web Money, InstaDebit, Entropay, Mastercard, eKonto, Neosurf, POLi, Visa, eNETS, Ticket Premium, Sofortuberwaisung and Przelewy24. Very few casinos offer this wide variety of deposit options, which most definitely makes Europa Casino stand out from the crowd. The withdrawal methods include; Visa, MyCitadel, Click2Pay, Cheque, Skrill, Neteller, InstaDebit and Web Money. Europa Casino currently accepts the following currencies; USD, EUR, GBP, ZAR, DKK, SEK, NOK and CHF. Customer service can be reached via email, fax, toll free numbers, live chat and snail mail. Players can contact support on a 24/7 basis, which makes it easy to get the help they need, when they need it. The following languages are available to players looking to sign up with Europa Casino; Danish, English, Czech, French, Greek, French, Italian, Portuguese, Hungarian, Spanish, Romanian, Swedish, Russian and Spanish. Europa Casino caters to a very wide audience with their broad language base, their wide range of deposit options and their multitude of game options. Overall, this casino is a very appealing one indeed, and would continue to be so even if they didn’t offer some very lucrative bonuses and promotions.